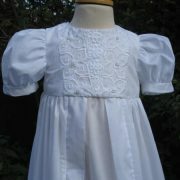 Little Doves has once again created another take on the most beautiful Lincoln Cathedral Gown. 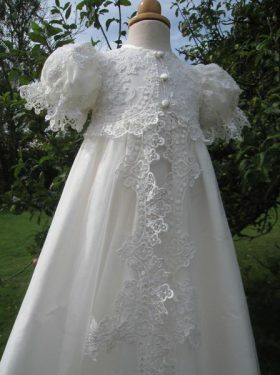 This time, the gown loses its organza overskirt and adopts a 40 inch cathedral length skirt. The end result is truly magnificent. 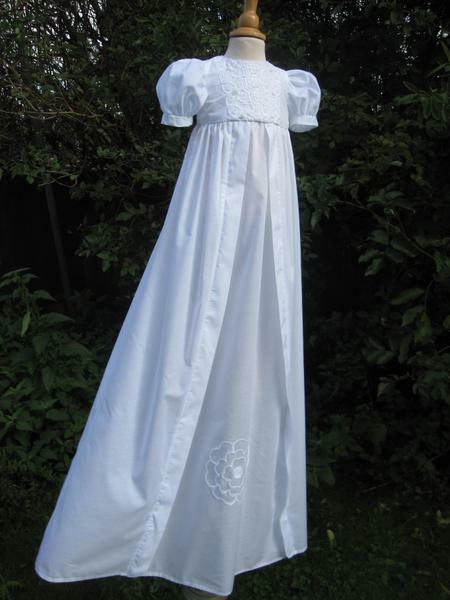 As with the original Lincoln Cathedral Gown, this gown has been lovingly created to honour the wonderful life of St Hugh, a former Bishop of Lincoln. 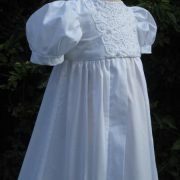 The design has been inspired by St Hugh’s closest friend, that of a white swan. He took inspiration from the swan when designing the roof vaults of St Hugh’s Choir. They are said to replicate the bird stretching its half-folded wings ready to fly. 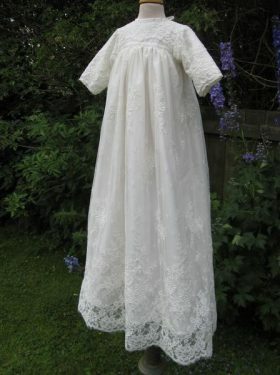 The gown’s skirt has been inspired by this story. 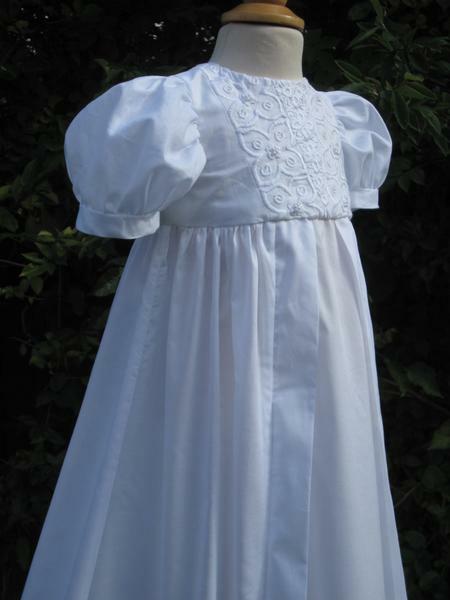 The cotton gown represents the body of the swan and the side robings are the wings of the bird as it prepares to take flight. 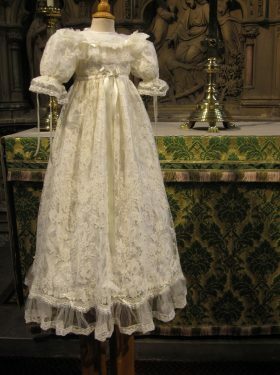 The panels of embroidery and beadwork on the bodice front and the large rose on the centre skirt panel replicate some of the Cathedral’s marvellous stonework. 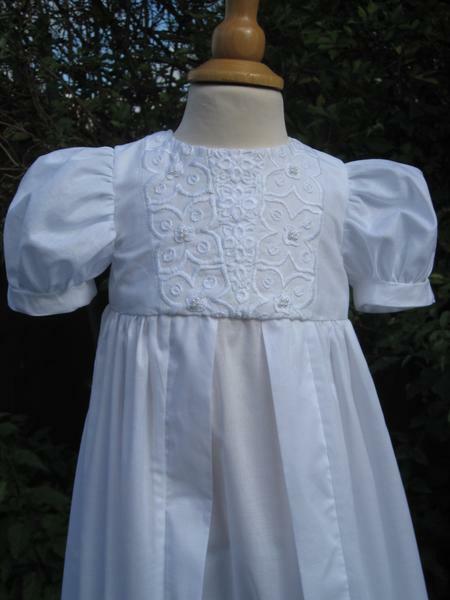 The short, puff sleeves give a really pretty finish to the design. 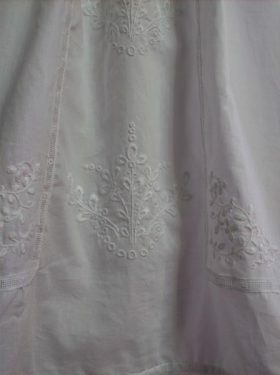 All exposed edges have been sealed with tiny French seams. 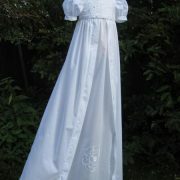 The finished gown has a wonderful delicate aura of grace and beauty, so reflecting of the qualities of St Hughs’s swan.